The most recent products to our range are the triangle suspension arm and strong metal clip - now on sale in our shop. More will be added to our range very soon and will include a high quality snare drum and triangle. It is with great sadness that we write of the passing of a dear friend and colleague, Nigel, whose great musical skills and talents have inspired so many people, both personally and professionally. Percussion - an evocative word that has evolved from the Latin word 'Percussio'. 'To beat or strike (musically)'. 'The collision of two bodies to produce a sound', (Wiktionary). If you love drumming and percussion and want to find out more, you are in the right place. 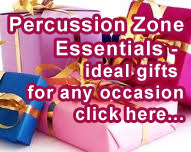 Drumroll Productions is perfect for percussionists! 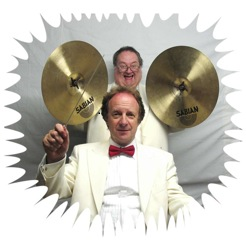 Nigel Shipway, one of the UK's leading percussionists, has personally chosen or developed every product in our shop. You will also find very helpful hints and tips and useful advice. Sign up for Nigel's Newsletter (box on the right) and obtain free, the first chapter of Nigel’s e-book ‘The Percussionist’s Essential Survival Guide’, 'The Gritty Realities of Touring' an amusing account of Nigel’s experiences whilst touring, or his chapter on 'The Life of a Professional Percussionist'. Complete the box on the right - we will not pass on your email address to anyone else. Amongst a variety of topics, the Newsletters will include a series of conversations with well known percussionists of the past and present. For the first in the series, go to 'Nigel Shipway Interviews' (top right). Nigel will share with you his knowledge gained from a lifetime in the music business. He will discuss Books and CD Reviews that are 'must reads' to help your playing career. 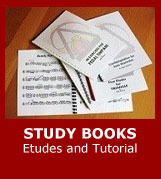 - Easy to understand study materials, from beginner to advanced levels, which will help develop your musical and technical abilities. 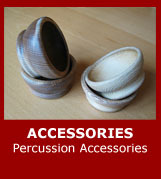 - Products to help you use imaginative techniques for a large range of percussion instruments. 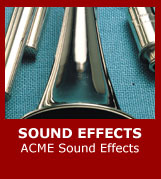 - Sound effects (from the World-famous Acme Whistles range), multi-percussion mallets, cymbal straps, lightweight triangle suspension arm. 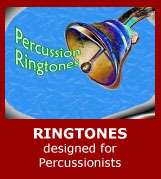 - Unique witty ringtones for your phone designed especially for percussionists. - Nigel's e-book 'The Percussionist's Essential Survival Guide' packed with Nigel's tips, experiences and years of research into the World of Percussion. Nigel has created and composed great value study materials available from our shop. This material will assist you in achieving your greatest potential as a percussionist, in your own time, but with advice available when you need it. As you can see, this is a great opportunity for you to develop your skills, as well as your knowledge, by tapping into Nigel’s years of experience as a professional World renowned percussionist. Visit our online shop to see other products in our range - the latest of which is a strong but lightweight triangle arm at £12.50. The next book I would like to recommend is one that I found particularly interesting because it’s a book written about an era of work in the British Music Industry which I saw a little of in the earliest beginnings of my own career. The book is called ‘Music While You Work – An Era in Broadcasting’ and is by Brian Reynolds. It documents the history of the long-running BBC radio programme ‘Music While You Work’. In a world where the opportunities for professional musicians seem to be shrinking, it is important to know how to maximize your advantages and put yourself in pole position in the race to get the jobs! 1. First Rule, be the best! There is absolutely no point in doing anything to push yourself forward unless you really are good! There are lots of people around who ‘talk the talk’, but that is not enough. Practise, practise, practise, then practise some more! 2. Second Rule. Be the best! I have written for you, the student, a series of exciting and stimulating studies for various percussion instruments. Click through to see if there is one (or more!) for you. Cheers! Nigel. Read information about instrumentation, performance and aptitude levels and to see a sample of each set. These offer practical solutions in getting students to problem solve the various technical and musical issues which multi-percussion writing can throw up.